At SafetyLiftinGear, we provide a great selection of 2 point safety harnesses, that can be used for a variety of recreational and work operations at height. These 2 point harnesses come in a variety of styles, with both front and rear attachment options. To suit a variety of budgets, while retaining quality, we also provide our 2 point harnesses in a selection of prices, with quantity price breaks available for larger orders. G-Force P35 Safety Harness 2 Point Attachment. G-Force P35-E Elasticated Safety Harness 2 point attachment. Like the majority of the products we stock here at SafetyLiftinGear, our 2 point harness systems are available both to purchase online, or hire at competitive rates. To select the option which best suits your requirements, simply choose either the 'Buy Now' or 'Hire Me' button displayed under each 2 point harness in our range.  If you have any questions about your order, or about the products in our 2 point harness selection, please feel free to get in touch with SafetyLiftinGear, via any of the methods outlined on our contact page.